The second way to cross the Pennines twice, by the Rochdale and the Leeds & Liverpool. 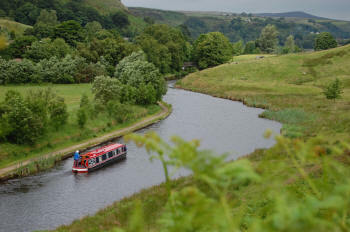 There are real contrasts between the urban centres (some newly regenerated, and some waiting for that), and the Pennine crossings, which have some of the most striking scenery on the waterways. From here the going gets serious – more Alpine than Pennine. 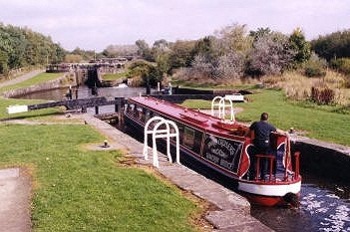 Another 18 locks in just three miles bring you breathless but exhilarated to the summit, at 600' the second highest you can scale in England. You will have earned a drink at the Summit Inn. From here, you drop down into Littleborough. Pass Clegg Hall, a Grade 2* listed building dating from 1618, which was long a ruin but has now been restored. Soon you come to Rochdale itself, where some of the biggest restoration projects have been tackled, including the M62, which for so long seemed permanently to block the canal. Now you go under it by a short but ingenious deviation of the canal. 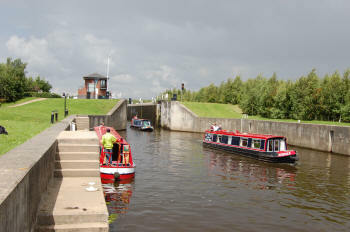 Then descend through town and country, transformed by the restoration of the canal, right to the centre of Manchester. 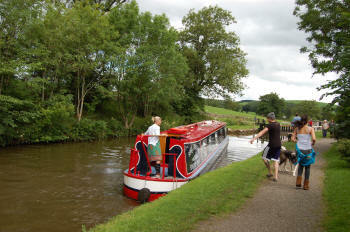 Pubs and restaurants welcome boaters, and the city is full of life and things to do. 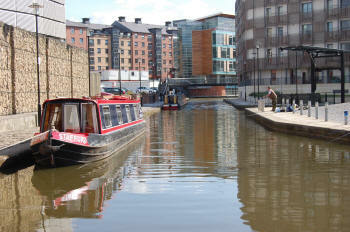 Steal away from Manchester by dropping under a skyscraper and taking the last nine locks of the Rochdale to Castlefield, junction with the Bridgewater Canal. Pass the Trafford Centre and turn onto the Leigh Branch. 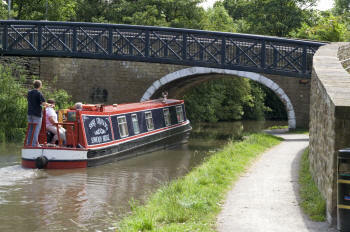 Go to Worsley, and stop to see the birthplace of the canals. Transfer seamlessly to the other Leigh Branch (you will have to look this up!). This takes you through to Wigan, where you join the L&L just above the bottom of the famous flight. Pause to explore the covered market and bustling town. Set out up the flight, with splendid views back over the town. 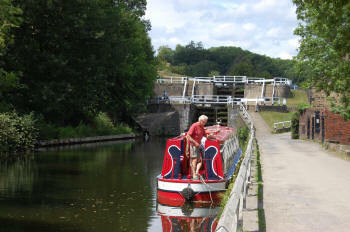 Then you are back in the country, with locks at Johnson's Hill, where the Lancaster Canal never got joined to the L&L. And so through countryside, with views of the Calder Valley (that's the Lancashire Calder), interspersed with old mill towns like Blackburn, you get to Burnley, and cross the embankment above the rooftops of the town. 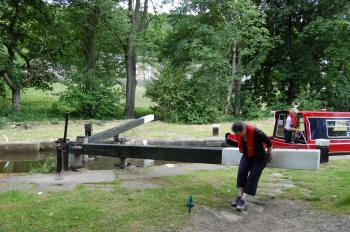 By now you're getting the message: the builders of the L&L were astonishingly bold, so you aren't too surprised, having climbed the deep locks at Barrowford, to see the long, wide and deep Foulridge Tunnel ahead of you. You emerge into a pastoral scene, with your first views of the Yorkshire Dales. After dropping through three locks, you meander round the hillside on one of the most isolated stretches of canal anywhere, an extraordinary step out of modern life. Keep going through Bank Newton and Gargrave flights, to arrive at Skipton, Gateway to the Dales. Pause to explore the castle. Previous experience essential. You can make this journey in either direction, depending on your start day. This trip can be done in two weeks by very active, organised crews only. 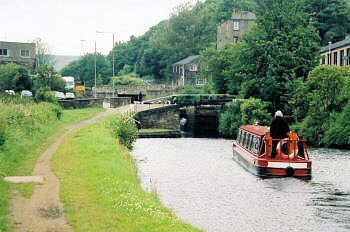 The western half of the Rochdale Canal is not yet in as good condition as other canals and you may experience difficulty or delays. We will give further details in the Information Pack available to you as soon as you have booked your holiday. You must tell us at the time of booking that you intend to do the Northern Pennine Ring. We will advise on direction of travel and lock/tunnel booking.